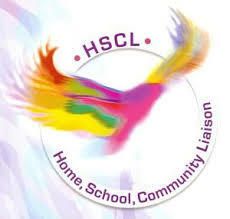 The aim of the Home School Community Liaison (H.S.C.L) scheme is to promote partnership between home, school and the community and to ensure that every family participates fully in the school scheme. It fosters a sense of trust between the pupils, the parents/guardians, and the school. How does the H.S.C.L Scheme work? A Home-School-Community Liaison coordinator is assigned to a school by the Department of Education. Parents will be able to participate in a wide range of courses, which we run during the school day. These will cover many subjects including English Language, Art, Computers, Parenting, Maths for fun, Literacy, Knitting, Music, Dancercise, Flower Arranging, Self-Care, Cookery to mention but a few! The Parents’ Room is open to parents from 9.00am to 2.40pm daily. It is a place to have a cup of tea/coffee, chat, and above all else RELAX. Please feel free to call in anytime and make yourself at home! The Parents’ Room is located in the Presentation Building and can be found to the left of the main gate when you enter the school grounds.